My pleasure Iryna! loosing a good recipe is like loosing a treasure…I wrote all moms recipes in to two notebooks when I was a teen….just incase.Give it a try and let me know.Thanks! This bread looks so delicious! I can’t wait to try it! I’ve had a bread like this before but I didn’t know what it was called!!! So excited! It really is delicious Lindsey, Its so good with coffee in the morning or tea.Can’t wait to make it again for Easter.Thank you! 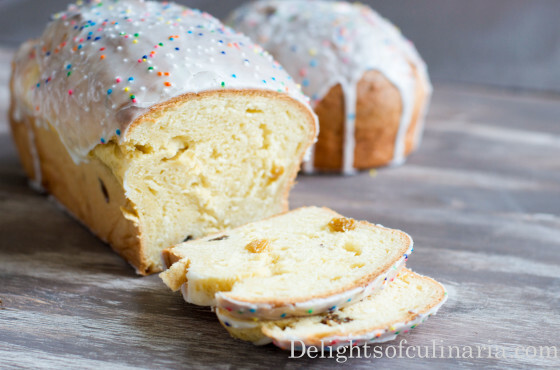 This is my first attempt at paska, and am just wondering if I use a regular spring form pan, will this recipe make just one paska or more? Definitely will try this weekend for a practice run, but it sounds great! Regular 8 or 9 inch will work and will equal 2 paskas.Try it and let me. Thanks! I can’t tell you how happy I was to find this recipe! I had one that was very similar saved to my computer two years ago which died. Of course I hadn’t written it down after I made it and have been looking ever since for one that sounded close. I’ve never baked mine in a container though, they’ve always been domes baked on a cookie sheet. 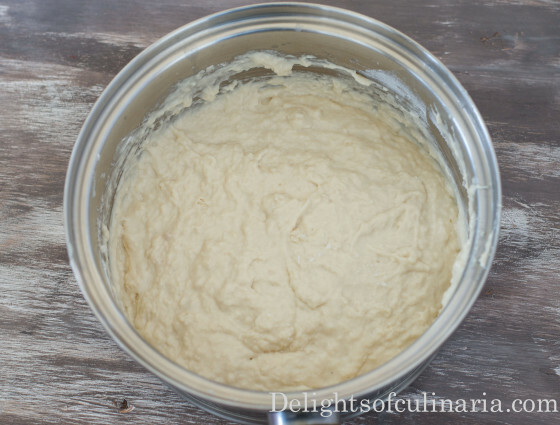 Is this dough sturdy enough or would I want to bake it in a spring form? I’m so excited to give this one a try!!!!! Oh….I hate loosing good recipes, and I don’t know why it always happens to “good” recipes. 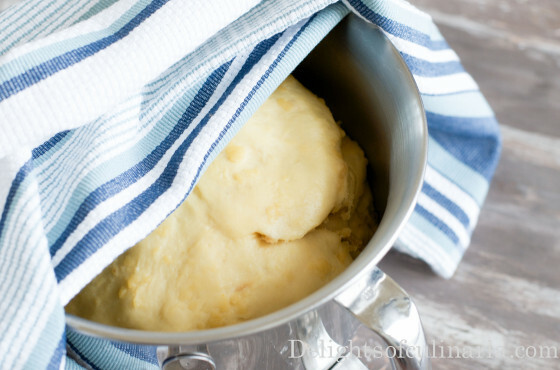 Yes this is pretty sturdy dough,I think it might work to bake it in a dome shape,but I never tried baking that way though.I would say you can give it a try….Thanks! This recipe sounds amazing! I’m going to try this week. One question, does it matter if you use instant yeast? 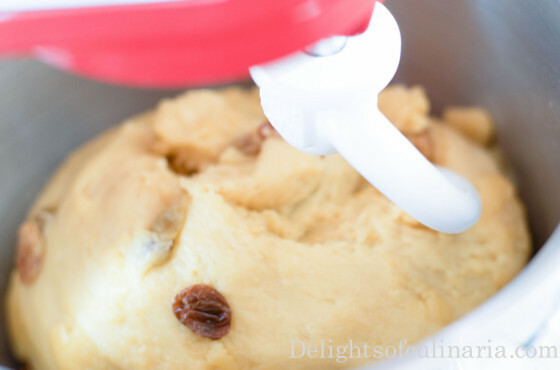 After I place the dough in molds do I need to let it rise again before baking? I am so excited to make this on Wednesday!!! 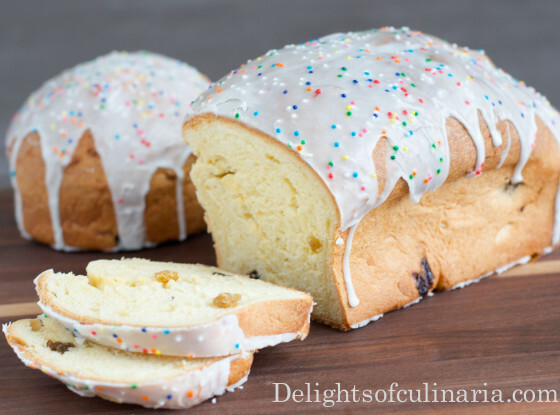 Thank you for posting our traditional sweet bread paska recipe. Love this. can’t wait too! my pleasure! Nadia, thank you so much for this recipe! I made this bread as a trial for Easter and it is delish!!! Thanks again. Glad to hear you like it….I made it two times this week with my mom and sisters. Thanks for feedback.Happy Easter! Nadia, just wanted to let you know that I made 3 more breads today and told my family to keep their hands off or there will be no Babka for Easter! have a Blessed Easter!!! Oh this is a perfect recipe! I can’t wait to make it tomorrow. I have tons of leftover egg yolks (from macarons) and I was looking for a way to use them up. Thanks! 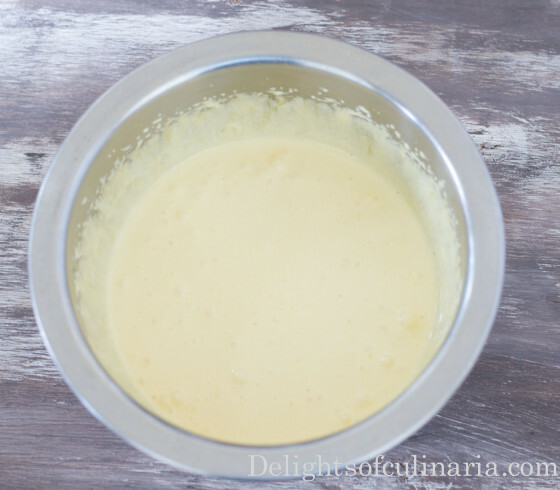 It is a great way to use your egg yolks. I have tons of egg whites,so will be making macarons and and meringue berry roll with it.Enjoy! Does any one knows if it is ok to freeze egg whites? I never tried freezing them, but I googled it and it said that you can, just thaw overnite before using them. Oh, thank you so much because I made your wonderful bread 2 times this week and have lots of egg whites and would not wish for them to go to waste. Thanks again! Does any one knows if it is ok to freeze egg whites? Thank you! Thank you Katy! 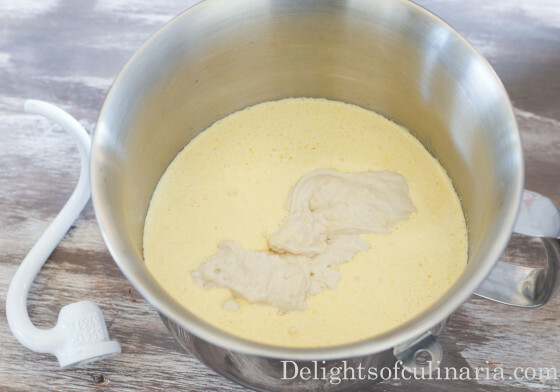 Using fresh yeast will be the best result, and using just egg yolks is the secret to perfect fresh paska for days(I wrap it in plastic wrap)….I love this glaze too,It actually stays on the bread and doesn’t fall off like egg white glaze. Thank you Marie! 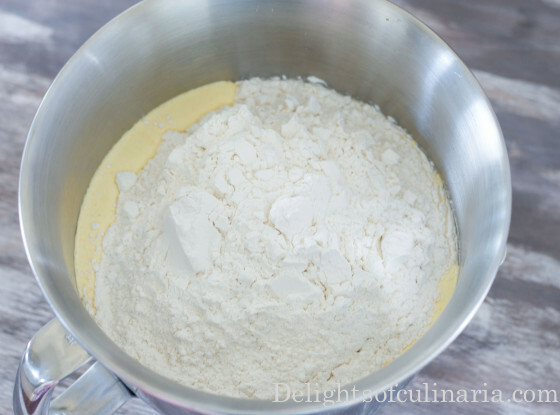 I used 8 1/2″ x 4 1/2″ x 2 3/4″ high loaf pan,but you can use any size or shape you want.Yes, about 1/4-1/3 of dough per loaf.Give it a try and let me know.My grandma passed away, but glad my mom saved most of her recipes. Hi Nadia,I made your poppy seed roll this week,and it comes delicious,just wondering if I can make this dough in bread mashin? Hi Viktoria, I didn’t try it in bread make, but I think it should work. I am so glad to find this recipe! My nanny was from Ukraine and she used to bake these and I loved them and forever associate them with her. She’s passed away a long time ago, and while I am not Christian myself, my significant other is, and I am going to try baking these for him this year! My last attempt at kulichi was terrible, and (since I know how to bake bread), I suspect it was the recipe (probably too-high temperature for baking). If I make a whole recipe, and bake it in a standard bread pan, how many of those will it make? If I have small amount of dough left over after the bread pan I can bake those in little ramekins. HI Veronika,I would say probably up to 3 bread loaves pan. and you can use any size. But i would bake them smaller size and big size separatly. baking time will be a little less for smaller ones.Let me know if you have any other questions. 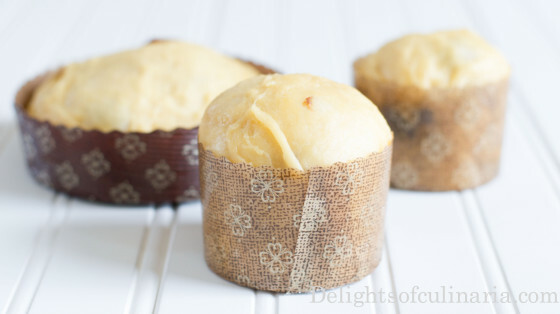 Do you think gluten free flour would work in this recipe? So you think gluten free flour would work in this recipe? Sorry, didn’t try with gluten free flour. In the ingredients on top where you show step by step instructions it says 2 cups milk is needed. All the way on the bottom it says 1 1/2 cups. sorry, I’ll correct that . its 2 cups. Adorable! I never made Paska rectangular shape, so cute! Your paska is excellent. Everyone who ate it, praised highly and asked for the recipe. Could you please advise how I can print the recipe? When I select the Print option, it goes to something called zip list and then advises that the feature is not available. There are 2 different measurements of yeast given. 1 tbsp and also 1 tbsp plus 1 tsp. which is correct? Hi Christine, It’s 1 tablespoon plus 1 teaspoon. Sorry,I’ll try to work on for that print button.